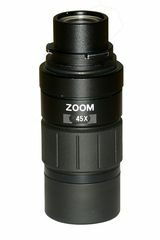 Magnification 20 - 45x 21-42 L.E.R. 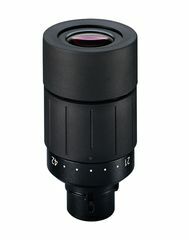 Eyepiece diameter 35 mm / 1.4 in. 51 mm / 2 in. Exit pupil 3.1 - 1.38 mm / 0.12 - 0.05 in. 2.92 - 1.48 mm / 0.11 - 0.06 in. Eye relief 16 - 17 mm / 0.63 - 0.67 in. 22 - 20 mm / 0.87 - 0.79 in. Diopter adjustment ±4 dpt. ±4 dpt. Length 80 mm / 3.2 in. 96 mm / 3.8 in. Weight 111 g / 3.91 oz. 210 g / 7.4 oz.